Birches Lakeside Campground in Litchfield, Maine offers over 137 campsites for tents and RVs. Most can accommodate large travel trailers or motorhomes. Units with slide-outs are welcome to our 50/30-amp electric, water hookups and sewer connected sites. We offer supervised children’s activities each weekend during the summer and on Independence Day we have beautiful fireworks over the lake. We host many activities to keep your family busy while enjoying your stay here! 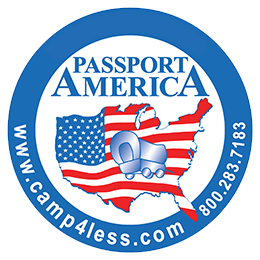 Campers can reserve one of our 137 full hook-up RV sites on our stunning waterfront property. 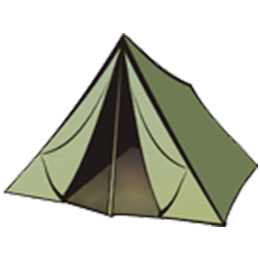 If tenting is your thing, we now offer a brand new wilderness tenting area. Five private sites, secluded from the RV section of our grounds. Enjoy all of our modern facilities while camping in the woods! Take your pick from (6) rustic cottages or one of four (4) modern Park Model homes. Most cottages are located along the cove, under tall hemlock and pine trees. Boat slips are available for all cottages for an additional fee. 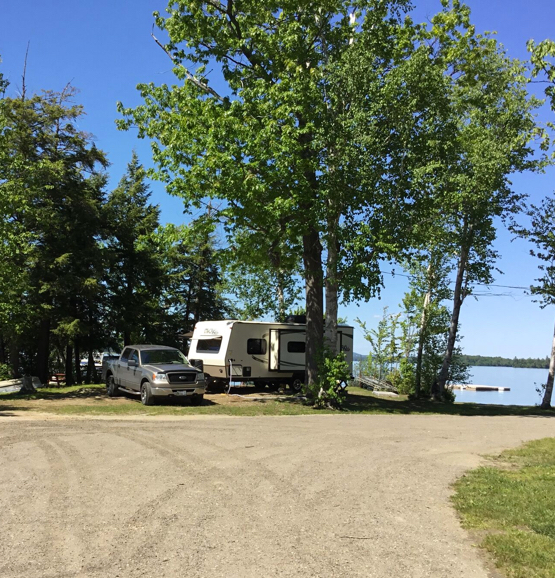 Our campground is on a beautiful 12 mile lake which boasts of fabulous bass, brown trout and pike fishing and great boating, canoeing, and kayaking recreation. You can make use of one of our many slips for your own vessel or rent a boat, canoe, or kayak from us. Launch straight from our marina to enjoy the beautiful waters and many lake activities! Hungry? No need to break out the campfire. We have both an onsite Restaurant and Cafe to serve you and your family. The Cafe is generally open all day serving everything from breakfast sandwiches to fresh pizza. On the weekends enjoy the full restaurant for breakfast. Come stay with us for one of our Murder Mystery theme weekends when we serve Prime Rib and other special entrees. It was our first year going for a long weekend and our family had a blast, even our dog, Chopper, loved it! The new owners are making it an amazing family camp ground! Booked for our next vacation before we even left! For sure our new traditional summer getaway! Chris and I just finished a week of camping at the Birches Camp Ground and had a wonderful time. We rented their park model and found it very nice and comfortable. We did experienced a few minor issues on the site but Phil and April took care of them immediately. Their staff was always available and willing to help us if needed. We are also seasonal boaters, leasing a boat slip for our pontoon boat. Their boat docks are all new, very well maintained at a reasonable price. I would highly recommend anyone interested in camping/boating on Cobbossee Lake you must visit the Birches Camp Ground.. Wonderful place in the perfect location. Phil and April treat everyone like family – they somehow manage to make each family feel special with services above and beyond what’s expected. It’s a family place and everyone smiles at the children biking, swimming and taking part in activities. We will be back for a longer visit next year!! And the fireworks! My family and I have been coming to the Birches every year for 20+ years. We absolutely love how beautiful and peaceful it is. The fishing is amazing as well. My parents come up for a few weeks every year and I never miss going up with them. We’ve been to over 15 different campgrounds in our life and this one beats them all. I would definitely recommend this place to anyone who wants to have an awesome camping experience.